Recently Andrew and I watched Apollo 13, the impressively accurate Hollywood retelling of NASA's "successful failure". I remembered it being a movie about a team of people working hard to solve a difficult and time-sensitive problem. The engineer and leader in Andrew was intrigued! A great story certainly, a captivating film - for sure, but also one which shared some important messages we as children of God can remember as we live out our daily lives. We are part of a larger whole, working towards the same goal, and every part of the body is important. When you become a Christian, it's not only your relationship with God that changes, but your relationship with Christians all over the world. They are now brothers and sisters, you are a member of the global church, and together you are all striving to bring glory to God, and fulfill the great commission and dominion mandate. In Apollo 13, there were many men working towards the same goal of getting the astronauts safely home. They had different ideas about how it should be done, but at the end of the day, none of them were going to throw in the towel in a huff because they didn't get their way. In our Christian walk we will disagree with other Christians, maybe in our church, maybe in our family, maybe in our marriage - but that gives us no excuse for walking away from the institutions which God has given us to be a part of. God has created lines of authority which we are wise to place ourselves within. 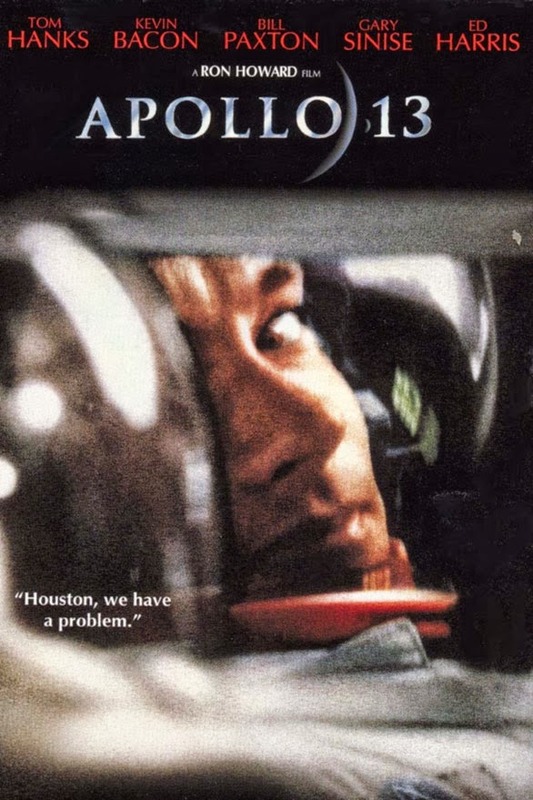 One of the things we noticed in Apollo 13, was that while discussing a potential solution everyone would give their opinions - but once the call was made that a particular strategy should be followed, everyone else immediately put their efforts towards making that happen - whether they agreed it was best or not. They worked their hardest and did so without bitterness. This was a problem on such a large scale that it needed all the efforts of every man working with his whole mind and spirit. That is the case for us as Christians too. We should not be dragging our feet, grumbling about the authorities under which God has placed us, or neglecting the place of authority he's given us. The problem of sin and lost souls is so global in size, and the stakes are too high. The security which comes from knowing an all-sovereign God. This was a lesson learned from this film because of it's absence. I don't know about the spiritual lives of the real people involved, but it was almost glaring how in the movie none of the wives or families of the astronauts prayed during the days of stress and waiting. They paced, they cried, they hugged - but they never prayed. 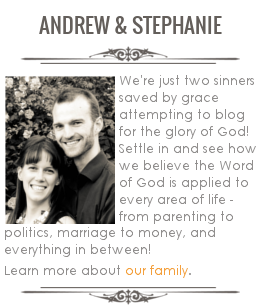 I know the only way I could find peace in that situation was because I'd know Andrew was in the hands of a divine, sovereign, and merciful God. We can use our conviction and this peace to bring comfort to people who have no hope outside of this world. Yes, there were amazing men doing their best to save these men, but our hope ultimately rests in one greater than them. Importance of forgiveness and not holding on to remorse. There were three astronauts trapped inside a very small space, where, because of the limited oxygen supply, it became very cold and water rations were low. And yet these men still had to remain focused on solving the problem of getting safely home. We were impressed with how, for the most part, they were able to remain encouraging and supportive of one another. Yet we eventually see the effect of pent-up bitterness when one of the astronauts explodes verbally at the other, blaming him for causing the problem. Lucky for them, the captain stepped in and put a stop to the foolish finger-pointing, acknowledging the fact that it could have been any one of them who flipped the switch which caused the problem. We as Christians should understand better than anyone the importance of forgiving others, because we ourselves have been forgiven so much. God has given man amazing dominion taking powers. It is clear throughout the film, that the magnitude of what man has been able to achieve in bringing men to the moon is incredible. The movie takes place shortly after men first landed on the moon, and the country is still abuzz with the excitement. God tells the first man and woman to subdue all the earth, and here we see an expression of that capability - traveling to, and performing science experiments on the moon. Christians should be at the forefront of a great variety of fields - engineering, music composition, writing, medicine - because God has commanded us to do all that we do as unto him and because it is one of the purposes for which he places us on earth, to subdue it. Are there any movies you've watched lately in which you noticed some big takeaways for Christians? Monticello Soap Company - Review and Giveaway!